We are a nation of immigrants. Most of us descend from others who came to this land whether by their own volition or against their will. With this in mind, I will be documenting all the known immigrant ancestors for both my family and my spouse’s family. This is eighth installment of this series. 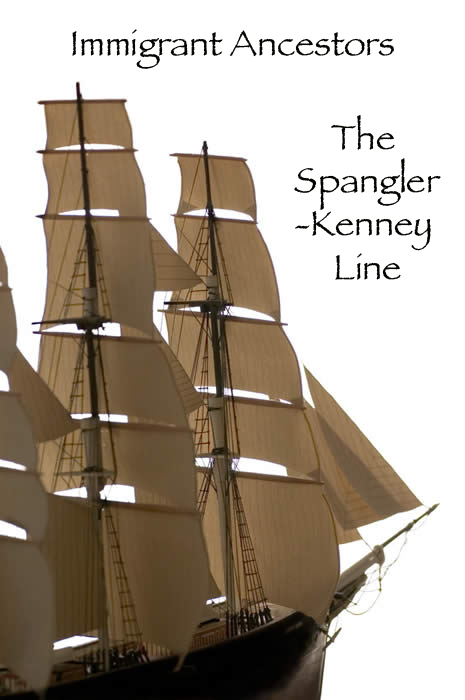 Now that I have documented the known immigrant ancestors of my spouse’s Spangler side, I will now move to the Kenney side of the Spangler-Kenney line. Although there are considerably less known immigrants here, you will see quite a few overlaps with the Spangler immigrants mentioned in my previous post.